A Mang Inasal in Calle Crisologo doesn't seem to fit right in. That was my first impression as I was strolling along this famous cobblestone street in Vigan during my visit last January. Don't get me wrong, I devour Mang Inasal's tasty chicken often too, but I would have wanted this modern fast food chain to have stepped back a bit from this site, or at least should have followed the existing old and vintage architectural theme rather than taking a pervasive modern look. In its stead, I would have wanted a local shop selling burnay jars or other native products in that spot. A UNESCO Heritage Site, Calle Crisologo is among my favorite spots in the country, but I'm a bit concerned seeing how this old-charm city seemed to have caught up with the modern time. 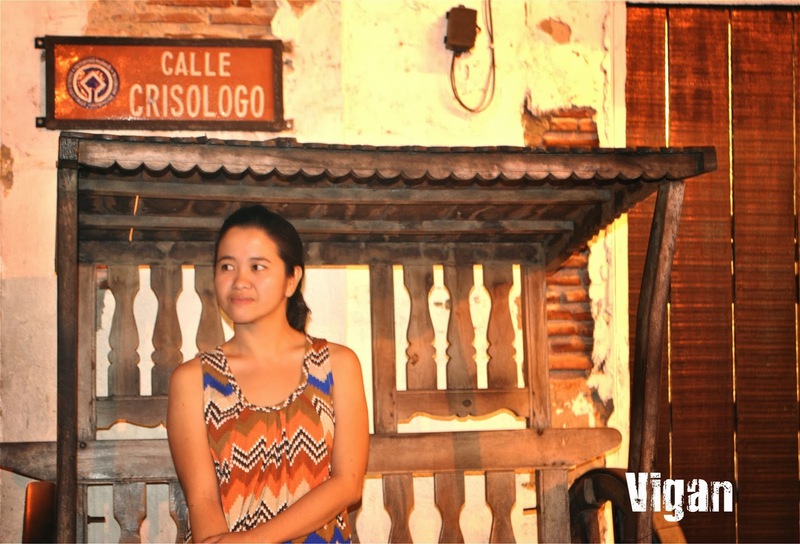 The thing I have with visiting Vigan is that each time we meet, something new is added and something old is lost. As I look at the old photos I took back when I first visited it in high school, I can see how this historic city have changed -- the commercial establishments around and the number of visitors strolling by obviously increased. While I understand that nothing stands still and that change and development are inevitable, I feel that some of our cultural heritages are at risk of a slow demise, and Vigan, a so-called "living museum," should not succumb to this kind of fate. The key lies in the active pursuit to preservation and conservation. Vigan is one of the cities that inherited a beautiful heritage by default. In the 18th and 19th centuries, Vigan or Ciudad Fernandina de Vigan is said to be the third most important city after Manila and Cebu. The sights we see there today -- the museums, cathedrals, plazas, and the food that are depicting Hispanic influences -- are the treasures left of the bygone days of Spanish colonial power in the north. Although Vigan changed through time, I still feel that it's one of the places in the country that has retained much of its history and a place definitely worth visiting! 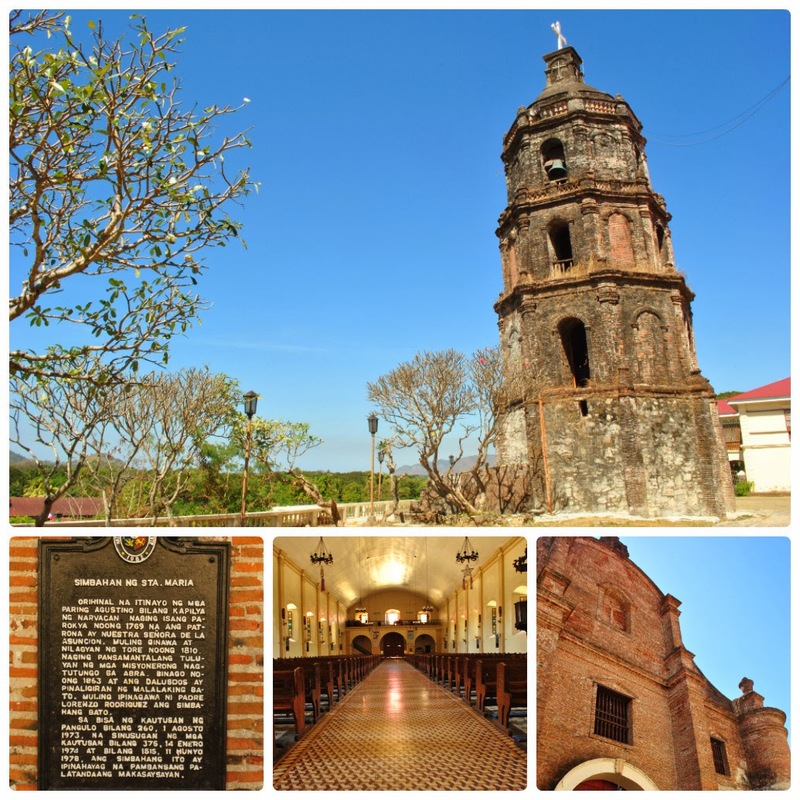 I've noted here some of the places I recommend while in Vigan and other parts of Ilocos Sur. 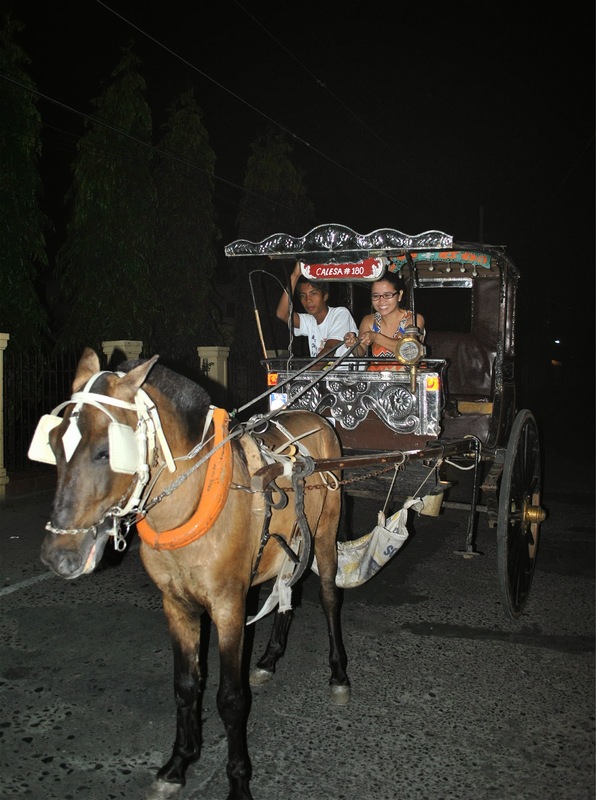 A popular must-do in Vigan is to ride a calesa. For a change, why not try driving it instead of riding on it? I had the chance to ride calesa, a horse-drawn vehicle, for P150. 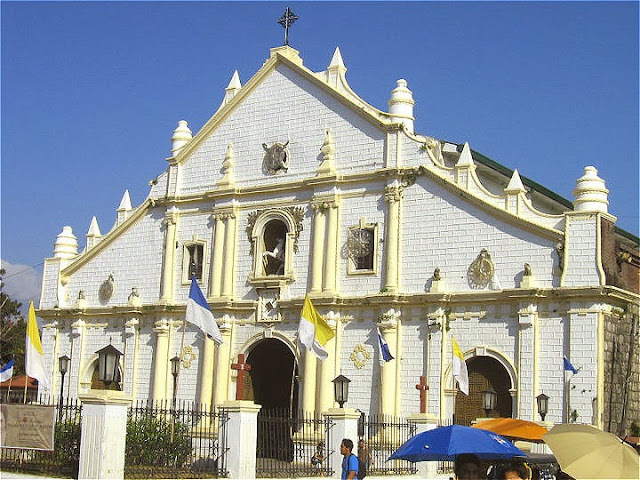 Aside from Calle Crisologo, other stops of the calesa ride include Plaza Salcedo or the town plaza; St. Paul Metropolitan Cathedral; The Arzopispado; Saint Paul’s College; the Provincial Capitol Building; Burgos Museum and Residence; Plaza Burgos and some significant grand houses in Vigan. 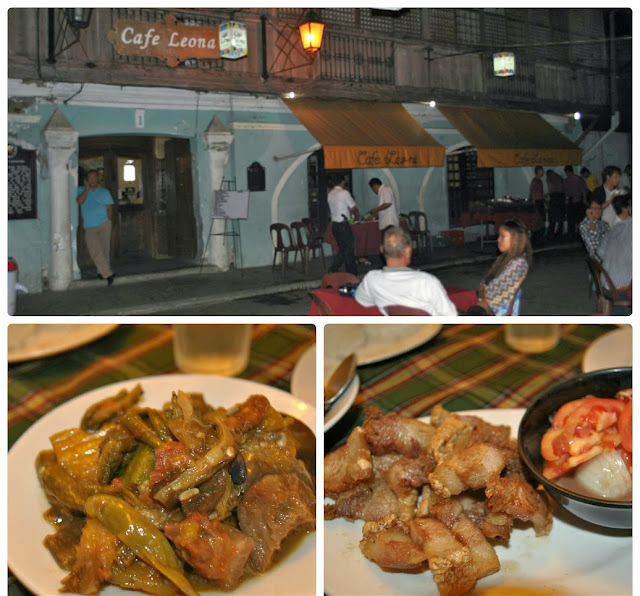 After quenching your thirst for history, dig in on some popular Vigan foods at Plaza Burgos, a must-try is the Vigan empanada and okoy; have a hearty and cozy dinner at Cafe Leona and feast on classic Ilocano dishes like bagnet, longganisa and pakbet. About 10 minutes away from the city proper of Vigan, another treasure worth-visiting is the historic Bantay Belfry. Built in 1591, it's unlike many other bell towers in the country which are attached to the church building. Bantay Belfry stands on a hill a few meters away from Saint Augustine Church because it is said to have served as a watch tower alerting the town people of the invading forces. Situated atop a hill, overlooking the town of Santa Maria, I was easily impressed by the beautiful facade, the massive buttresses, and huge bell tower of this red-bricked church. The interior, especially the altar and retablo have evidently undergone renovations, but I have the overall excited feeling all throughout my stay knowing that this church have withstood the tests of earthquakes and storms. Without a doubt, I'm in love with Ilocos Sur! It's one of the places that I'll never get tired of visiting again and again. I just hope that the government will be able to safeguard the many heritage sites it offers. And with the inclusion of Vigan as a finalist to the New 7 Wonders Cities of the world, I hope that there will also be an increased awareness to preserve the many historical treasures of the city. This is for the benefit of our future children, and our children's future children. I agree with you. I hope the Local Government will take actions with the addition of fast food chains and the lost of Vigan's local food chain. I hope you can post some pictures of Calle Crisologo before and after so everyone can see the difference. Vigan has a masterplan along the heritage park. All new structures that will be built shall adopt the Vigan-style house to compliment the other structures and enrich the Spanish vibe of the city. It is implemented very strictly by the local government. The original structure of Mang Inasal was neither appealing for the heritage village. I find it a blessing in disguised to be renovated. Business is carefully integrated to the heritage sites in order to create economic activity. It is this economic activity where the funds for preservation and conservation come from. It is these activities that create job for the people and leave no one in poverty. Vigan won the UNESCO Best Practice for Heritage Management in 2012 beating 23 other countries. 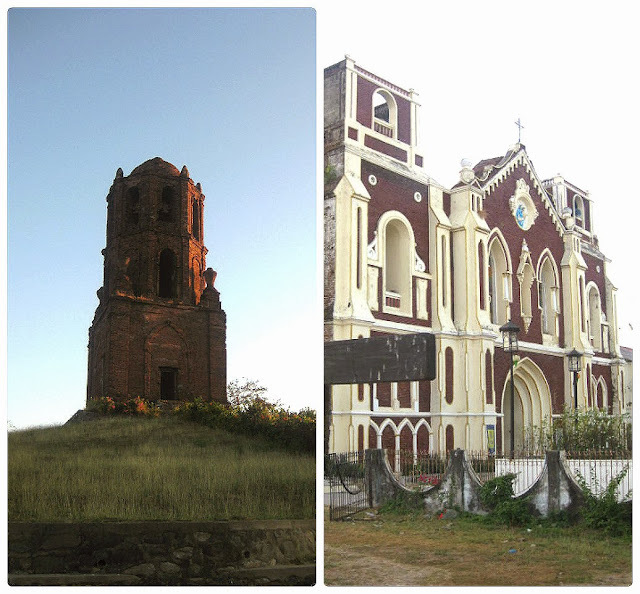 A testament that Vigan is doing so well in preserving our heritage site. It's true and it's sad. Almost anywhere you go here in the Philippines, even in the mountain's summit you'll see stalls selling alcoholic beverages and other stuff! It's just crazy. I went to Vigan early this year with a close friend who has been planning this with me since the 80's. Needless to say, we lost touch because our careers took us different paths. almost 3 decades later, the friendship was re-glued and on we went ---- I was dumbfounded to find out, her family actually owned the house on the corner of Crisologo and Salcedo. Silly me expecting that Ill be staying a few blocks away, yet there I was in the center of history, in a house that's centuries old, well cared for and filled with happy spirits of its past and present glory - for a whole weekend, namimintana, watching tourists as they looked back me in awe (thinking I lived there). Che - you are so right about falling in love with this piece of history --- I fell head over heels over Vigan. Keep writing and sharing, please. Its a great thing to be reminded that we need not look further than our own backyeards. More poser to this blog and looking forward to more!!! Salamat!